I open my arms to embrace you and to tell you with a heart full of gratitude and joy that I will never forget you nor the advice received from you. I thank you kindly for your help! I love your Interfaith message on the "Spiritually Advanced Being." Wonderful work! Thanks! 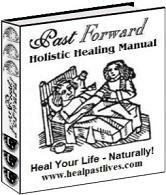 Thank you to Ellen for your help and suggestions to get me started on Past Life Healing. I too feel it is no accident that I have found you! I will keep searching your sight for guidance and inspiration. Thanks Again. I really loved all the information you provided. I've been reading spiritual books for years. You really made me understand the concept of reincarnation. I'm at a spiritually hungry time where information is wanted. I found this site accidentally, or was it? I think it's wonderful and you are truly blessed. I just wanted to tell you that your site is really a wonderful treasure! And the work you are doing is profound to say the least. The earlier popularity of past life regressions which portrayed everyone as Caesar or Cleopatra were I suppose a necessary part of opening the human consciousness to the idea... but to go from "ego" knowledge to soul healing as you are doing is so incredible! So Hooray for You! Such a vast array of knowledge and experience wrapped up in one web site. Everything I was curious about regarding reincarnation and related topics has been unlocked through use of this site. I have it listed under my favorites so I can come back to it as a reference site. So many intriguing things to read. Thank You for all of your hard work. As a student of the esoteric since my teens, your website was no accidental find, just a cosmic hiccup of syncronicity. The quality of the information is awesome and that your offer it gratis is so 2nd ray love -- coupled with your incredible sense of humor, the healpastlives pages are just so on the money. Fantastic site, and I've only scratched the surface. I know I will be spending many hours enjoying the information you have gathered for us! I learned a lot from your website. Thanks for helping me find the right answers to my questions. This is an incredible site! I am visiting for my fourth time and just cannot get enough!! I was amazed at the Higher Self meditation and the results I got! WOW! This information is so powerful. In my previous past life explorations I barely touched the surface; now I know to look deeper for the lesson and purpose of each journey. To think I found your site by accident! Blessings to you and your visitors. I have found the information on the Higher Self and Past Lives informative. Thanks for your efforts! Love All and All Love!!!! Thanks for an informative well designed site. Thanks... I can put this information to use to find out my purpose.